Ephesians 5:22-33 seems like a text about marriage, right? Well, it is but it's also about something much bigger than just marriage. Paul explains that this passage is actually explaining the mystery of Christ and the church through the husband and wife relationship! There's much to learn here about marriage between spouses and about Christ and the church. Matthew chapter one contains the great story about the "marriage" of Joseph and Mary and the Son of God born into their trust. In this lesson we cover points of interest like the genealogical accounts, Jewish marriage betrothal, the virgin birth and the characteristics of the great marriage of Joseph and Mary. Most importantly, we are reminded of why Jesus came into this world! If you are married or plan to get married you need to pay attention to the marriage of Abraham and Sarah. 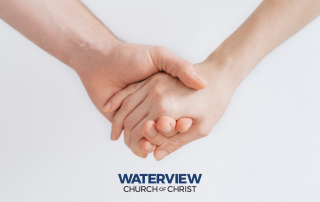 Not only can we learn about the ups and downs that every married couple will experience, we also learn about the trials and triumphs of faith. It's amazing how much we can learn about ourselves from the first few chapters of the Bible! It is also interesting how some of those same lessons apply to marriage, one of the major themes of Genesis. Today, we would be wise to learn the same lessons that Adam and Eve learned about marriage and apply them to our marriages today!